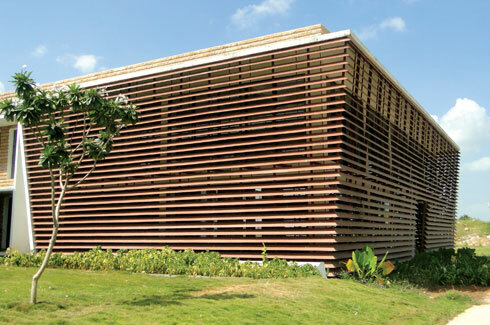 A brand dealing in façade cladding, FunderMax aims to be the trendsetter in design and aesthetics. In a conversation with Mr. Prashanth Reddy, Director, FunderMax India Pvt. Ltd. Mumbai, we gain insights about the façade cladding industry in India and how FunderMax is contributing to it progressively. How is India’s facade cladding industry currently placed? 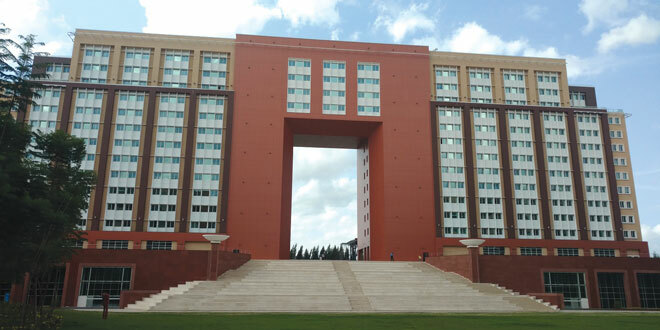 The total size of the Façade Market in India is estimated to be around 80 million square meters per annum with majority share of Glass followed by Stone (Granite and Marble being abundantly available locally and relatively cheaper too), followed by Aluminum Composite Panels (ACPs) and then around 5 percent by new generation materials like HPL, Fiber cement boards and natural woods like IPE. What are the different products available in FunderMax’s interior and exterior range? 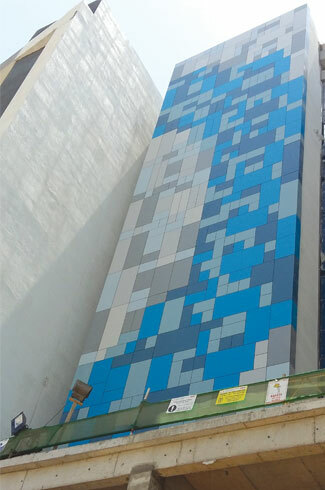 The products we offer in India for exterior applications are Max Exterior F Quality, elements like Lap Siding, perforated panels and also different surfaces like glossy, matte, textures, individual and customized digital prints etc. though the market preference is tilted towards wooden grains, we off late see our white decors doing well in corporate and Builders segment and also lot of stone decors catching interest to replace most of natural stone due to its weight and porosity issues. Also we have some show stoppers like Neon collection as well as new Textures. You imagine and we have it.For interior applications, in India we are currently offering Max Resistance2 – highly chemical resistant HPL panels for laboratory tabletops. 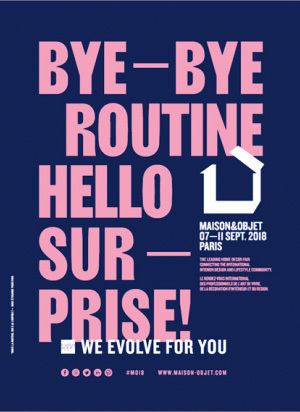 On lines with our tag line, “for people who create”, we try to assess the requirements and preferences of the architects and launch new products based on the international evolving trends so as to offer world class products. For instance, our latest Max Exterior Range of Decors which we launched in 2015 was created after taking inputs from prominent architects all across the world with 20 people working for last 5 years and having to test for Exterior conditions thoroughly. Our new collection has a total of over 30,000 SKUs for Architects offering High design freedom and the entire collection is available completely in India. Mr. Prashanth Reddy, Director, FunderMax India Pvt. 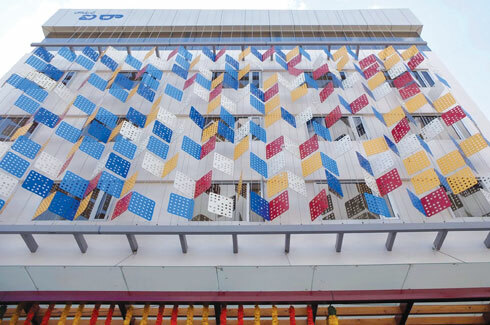 Ltd.
What are some of the emerging trends in the facade segment in India? 1) More robust, energy efficient, innovative and adaptable façade systems such as Back Ventilated Façade System, Double Skin Façade System, Louvers Façade Systems, Energy Efficient Façade Cladding Systems etc. 2) Innovative new cladding materials such as Exterior Grade HPL Compact Laminates (as per EN438-6 NT or EBC), Glass Fibre Reinforced Concrete, Metal Claddings (Zinc, Copper, Aluminum and Steel), Polycarbonate Panels, Fibreglass Reinforced Plastics, Clay Tiles etc. Today’s architects not only have to take into consideration technical aspects when designing a façade but also must look at the design aspects which give a superior aesthetic appeal and uniqueness in design and at the same time be energy efficient. We have observed a change in the spending pattern of the Indian consumers as well when it comes to spending on their homes. Indian consumers today are price sensitive certainly but equally value conscious. And they are thereby willing to pay premium prices for products that are robust as well as aesthetic appealing, unique in design and durable. 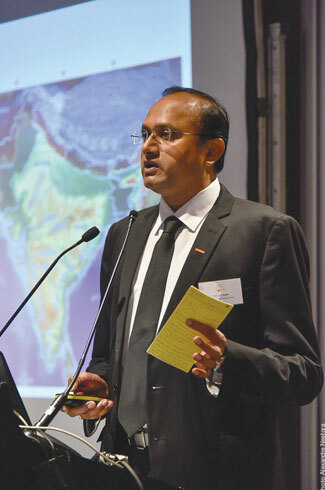 What are some of the challenges facing the facade industry in India? 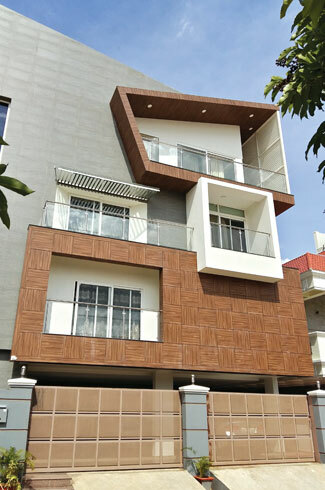 When it comes to implementing the vision that the architect has in mind for his/ her building, it is not only the cladding material that should be at par with the international standard, but equally important is the correct and precise fabrication procedure which finally creates the uniqueness and appeal that the architect had envisioned. We have seen that the installation systems and façade fabrication still has some way to go till it can match the standards being followed globally. What is disheartening to observe is that façade contractors in the Indian market today try to cut corners on the usage of the recommended tools and accessories to extract maximum margins. All this leads to improper installation and low life of the façade itself and also ensures that frequent maintenance is required. We ourselves are making an effort to educate the market on this issue to ensure that there is absolutely no compromise as far as the specifications and trained manpower is concerned to ensure that the building is set up in the same way as the architect desired it to be. What do you think is missing in the current facade segment in India? How do you think FunderMax can improve it? Another important criterion for cladding in the Indian context is the selection of a well trained and experienced installation team and the usage of the recommended right tools, accessories and procedures as specified by the cladding product company. Façade fabrication today has expanded in size and has become increasingly complex in shape which has resulted in impediments in field installation and to mitigate this risk, absolutely no compromise should be made as far as the specifications and trained manpower is concerned to ensure that the building is set up in the same way as the architect visualized it. FunderMax from its rich international experience believes in educating the Indian market about the latest technologies in façade cladding such as rear ventilated façade cladding system which we have intensively promoted amongst the Architect and other Construction Industry fraternity in India. In the next 5 years, where do you see the brand? FunderMax is owned by Constantia Industries AG, one of the largest industrial companies in Austria. Headquartered in Bengaluru, FunderMax India Pvt. Ltd. (FIPL) is a 100% subsidiary of FunderMax GmbH, Austria. It has in its offering a wide range of Compact Laminates used in both Exterior and Interior applications. We have a pan India presence with 43 Authorized Business Partners located across all major Tier 1 and Tier 2 cities in India. FunderMax India has executed more than 6000 projects in the past 7 years across different sectors such as Residential, Hospitality, Retail, Corporate and Hospitals amongst others. FunderMax is a complete solution provider and supports its customers by providing them with the right Installation system with right façade consultancy on design and product compatibility along with the usage of only recommended and specified installation accessories and the right tools and trained manpower. All of this is well supported by FunderMax’s trained and experienced 43 Authorized Business Partners across the country. It has been 7 years since FunderMax started operations in the Indian market and the response has been very encouraging. We were the first company in India to launch Compact Laminate panels for exterior use and the market has gradually accepted our product. We are currently the leader in the HPL industry for cladding materials in India and want to strengthen our position further going forward. With an unparalleled range of 115 different decors comprising 30,000 SKUs and with our own trained installation teams who use only the recommended tools and accessories, we want Indian architects to set new benchmarks by creating unique iconic structures that bear their mark of creativity. For this reason, we have also been educating the industry about the latest trends in façade design and benefits of the European Rear Ventilated system which we use for installing the panels. 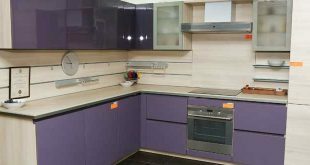 At the same time, we also have an in house application engineering team who work with the architects to create that unique design and have also been working on creating new applications for Compact Laminate use. We do not see ourselves as only a manufacturer and supplier of high pressure laminates but a complete solution provider which is our USP and makes us command the position we are in and we continuously strive to remain in a leading position. Our aim is to be the trendsetter in design and aesthetics, a great brand to associate with, an inspiring place to work and also as a part of our CSR activities, continue to contribute to the cause of education for the underprivileged.